Lets face it. Life is busy. With more technology than ever, our world is moving at a fast pace and distractions are everywhere. At the touch of our hands, we have access to any phone app, games, pictures, music, television, etc. not to mention when we get home and have Netflix, Redbox movies and such on top of our careers, families, friends, work, and other hobbies. Only 24 hours in a day–we never have enough time to do everything we hope. Also, with all of the distractions technology and media provide, we are often kept from doing what is most important to us, our priorities. We are lucky if we invest in any of the activities we know are important. Where are our priorities? Oxford Dictionary defines a “priority” as “a thing that is regarded as more important than another”. We all have priorities whether we realize it or not–how we spend our time, how we spend our money, and those we choose to spend it with. If we don’t exercise our ability to set priorities, life will do it for us. Indecision is a decision. What is the #1 priority in your life? Is it your health, work, family, a hobby? If you don’t know, ask your friends what you spend most of your time talking about, check your bank account for how you allocate your funds, or glance at your agenda to see where you invest your time. Matthew 6:21 says, “For where your treasure is, there your heart will be also” (New International Version). The Bible says, in Matthew 22:37-39, “Love the Lord your God with all your heart, and with all your soul and with all your mind. This is the first and greatest commandment. And the second is like it: love your neighbor as yourself” (New International Version). It is clear that God wants us to place a high priority on having a strong relationship with Him. Loving Him with our whole heart, mind, soul, and strength means putting Him as our first priority in our lives. God also sees relationships (loving others) as second in importance. # 1 is God, with family/friends/loving people as second. I remember my pastor warning us that only two things last forever: God’s word and the souls of men. He warned us that investing in anything else is spending your life on something temporary. Matthew 6:33 says, “But seek first His kingdom and His righteousness, and all these things will be given to you as well” (New International Version). This verse reminds me that what needs to be #1 in my life is God, and everything else should follow. I have witnessed the absolute truth in this verse on the days when I wake up early and spend time in prayer and scripture. After having time with God first thing, my day ALWAYS feels off to a good start, and I see why God wants to be first in our lives. Family and friends is next on my list of priorities. A recent quote I read says, “Nobody is too busy, it is just a matter of priorities.” As a person with a job, responsibilities, bills, etc., it can be hard for me to let myself spend time with friends and family and relax. Its as if i feel I am wasting time when I am not busy checking things off my to do list, not realizing that the people I spend my time with should be at the TOP of that to-do list. As I wrote about in a previous blog post, we were made for relationship. Isolating ourselves while excelling in our job, making a lot of money, or getting skinny, may help us feel “successful” but we end up being lonely. And whats the point in having all the money in the world and no one to share it with? Benjamin Franklin once said, “When you fail to plan, you are planning to fail”. When it comes to priorities, sometimes the first step is discovering what yours are. Next, it is important to plan how to give your priorities the attention they deserve. It can help to actually write down time spent with God, family, and friends as if it is an actual appointment in your day. It is not about finding time for your priorities, but making time for them. 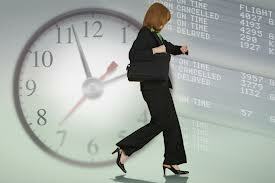 Accomplishing your priorities by setting appointed times to meet them brings order and peace to your life. This entry was posted in Uncategorized and tagged atlantacounselor, norcrosscounselor, Priorities. Bookmark the permalink. Good word Cameron!!! Love you.